Here at Abstract Fiber we've got some fabulous new colors including Summit, Lagoon, SOAR, The Gorge. The next best thing to being at SOAR is our SOAR colorway, the color of Autumn leaves. Available now at abstractfiber.com . 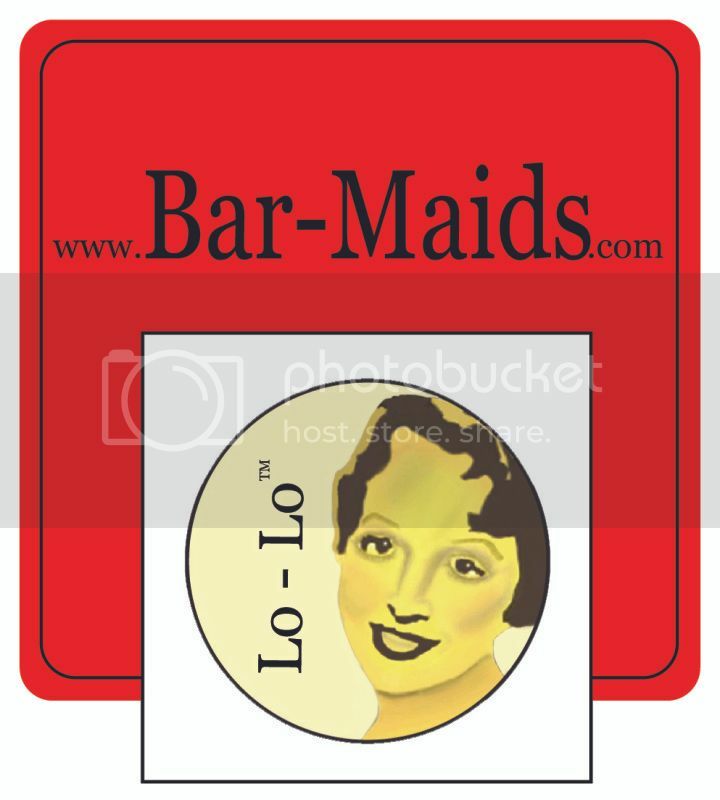 Meet Lo-Lo by Bar-Maids, "The Hottest Natural Moisturizers in the Fiber World". Bar-Maids handcrafts head-to-toe moisturizers for people who wish to proactively protect, defend, and restore their skin to baby bottom soft. Bar-Maids uses only the finest local ingredients available creating non-greasy, non-sticky, non-flaky combinations that penetrate multiple layers of the skin working to soften and nourish. Once applied, the moisturizer remains where you put it and is not washed down the drain. With over 38 scents (that smell wonderful), and 8 lip balm flavors that taste yummy, it's hard to choose just one. Find out how you can keep your hands moisturized and beautiful while knitting up a storm at www.bar-maids.com Fair shipping practices, cruelty free, and fast turn around times are just icing on the cake. Gigi finished projects for a friend. Jasmin is bored with knitting sleeves. She is working on the Breezy cardigan by Hannah Fettig. We mention Project Accessory; Gigi prefers Project Runway. Jasmin mentions handles from a Noni bag and having a pile of sweaters that are waiting to be finished: the Blue Streak cardigan, and the baby version of the blue streak cardigan, the garter stitch wrap sweater, and garter stitch baby kimono that Isabelle from the Fluffy Fiber podcast is also knitting, and the mini Mondo Cable cardi. Jasmin mentions a couple of useful Interweave apps that will give you yardage estimates for garments in different sizes and yarn thicknesses (Knit Handy and Crochet Handy). -No official Meet-and-Greet, but do come and say hi! Do some good. Get your entries in by December 25th. - as of this week: one copy of How to Knit a Heart Back Home , and Wishes and Stitches , and How to Knit a Love Song , and A Life in Stitches by Rachael Herron. Gigi has problems with her Sothia and her Katriel. Also, the sleeves on her Rocky Coast cardigan. Jasmin was working on her Breezy Cardigan, and managed to have two Knit Picks cables come apart on her. We review Playful Little Knits by Rachel Manring, and we are utterly charmed. Remember the spirit of the holiday season. Stop. Breathe. Enjoy. Simplify. What do you do to simplify the holiday season?